It is no secret that Japan has a lot of earthquakes. But what many people don’t know is that earthquakes happens (almost) every day somewhere in Japan! However, most of them are so small that they go by unnoticed. Since earthquakes are so common, the Japanese people is accustomed to them, and so should you be if are going to Japan! First off, you should be mentally prepared for the ground and buildings to start shake at any time. Even if it can feel scary, most of the earthquakes are harmless. After a larger earthquake, water and electricity might not be working in your area. Prepare with some accessible water bottles and cash in the wallet. If you are indoors, stay indoors (unless it is an old wooden house) and take cover below a table. Stay low and hold on until it is over. If there are no good covers, then stand against a solid wall which has no shelves with items that can fall on your head. If you are outdoors, head for an open area. Stay away from buildings, powerlines, lamp posts, large trees etc. Landslides are common, be aware of your surrondings. 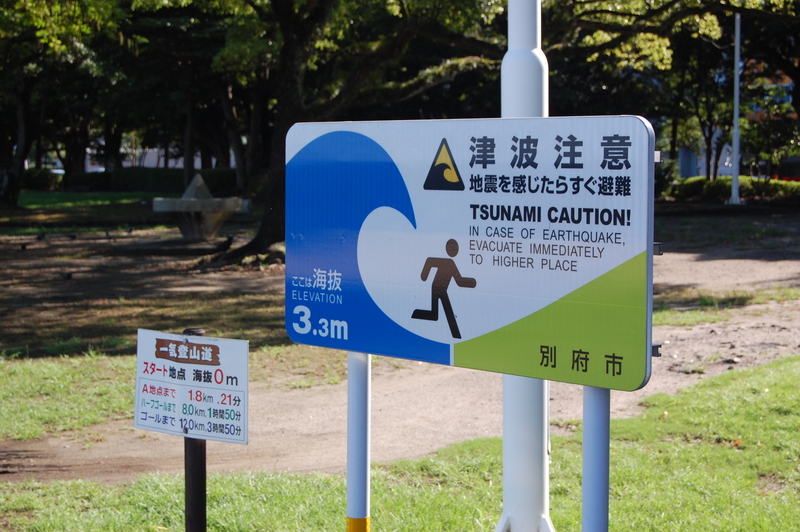 After a larger earthquake it is common with tsunamis, big waves, crashing on the shores. Depending on your location, you might want to head for higher ground for a while. Avoid using your phone unless really neccessary. The grid will be overloaded in this kind of situations. Also, avoid driving to keep the roads clear for first repsonse personnel. Follow instructions of the local government. If the information only is available in Japanese, just ask some Japanese people, they will help you for sure. If you are staying at a hotel, they will help you out on what to do next.